What if *You* had a string attached to your spine that could pull you backwards… back, back, back… so that you left the ground, the earth, until you could just hover unobtrusively, and watch. Just observe. What if You could be a silent witness to every action, each thought that has ever taken place for all of humanity’s story…. seeing into the heart, the mind, each hidden inuendo of both “saint” and “monster.” Of course you would view your life, the hidden desires of your own heart… down through the ages… and how those desires influenced your thoughts and propelled your choices and how those choices affected your family members, your loved ones, your neighbors and friends. You would also be able to view how those interactions affected those friends and loved ones of your friends and loved ones, influencing them to develop and shift and choose and be who they chose to be because of their actions influenced by their deepest desires of their own hearts. You would see each individuals’ choices inter-weaving with and affecting each other individual…. each action affecting another’s thoughts and actions. With this type of a perspective… far above the planet and with omniscient vision and insight into all motives and feelings… you would be able to trace the original pure innocence of each “Saint Teresa” and “Gandhi” into their pivotal role that profoundly affected the lives of millions. With your global observational perch, you would see those that preserved their original innocence by integrously choosing that which would benefit the long-term good of all. From your elevated viewpoint, you would also be witness to others… like Franz Stangl. 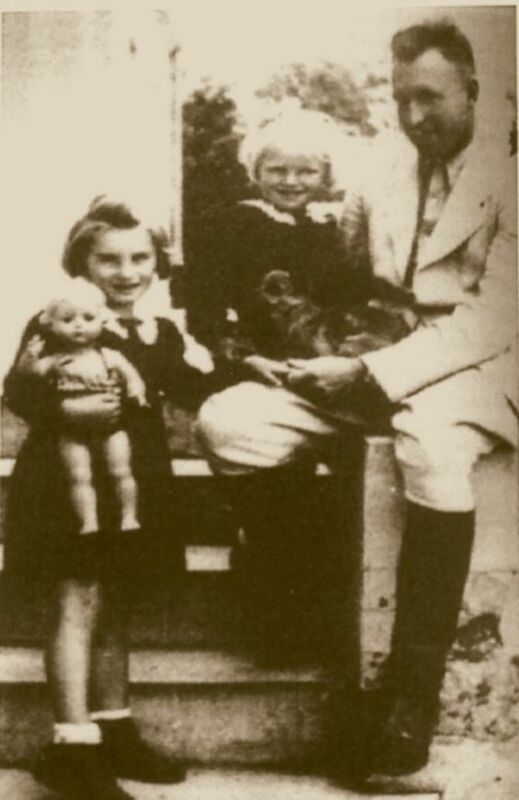 Franz, like many currently, was a loving husband and a devoted father, an attractive personality. 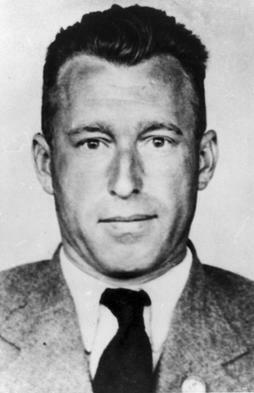 An average, ordinary “Joe,” his journey began innocently enough, as a non-political “wannabe policeman.” As an Austrian patriot before the Anschluss (the annexation of Austria into Nazi Germany in March of 1938), he hunted down and was rewarded for capturing Nazis. But then the universe seemed to conspire to give him an opportunity to exercise his moral sinews. Initially recruited to be a Security Guard at Hitler’s Euthanasia facility, he was just trying to avoid being sent to the front lines. Then he bumped into the Nazi underground, where there were no exit doors that were less than six-feet under. So, Franz faced choices: survival as an obedient Nazi while providing and caring for his family and being a good up-standing citizen… or… probable death as a man who listened to and obeyed his conscience, with whatever the ramifications of that choice for his wife and children. Franz never directly commanded more than forty or fifty SS men at any one time. All the rest was done by local volunteers who, in return for food and wages, were happy enough to help. Franz went on to commandeer the Treblinka Death Camp. By his own estimate he killed about 900,000 people, most of them Jews. The shocking part of it is how easy it was. His killing several thousand people a day on the average was no problem. Difficulties only arose when too many victims arrived at once… in which case they had to wait, without food or drink, under the open sky, until the gas chambers were emptied and cleaned of their predecessors’ wastes. Franz’s story, like so many others, shows the simple-seeming decisions that were the ways and means of changing and hardening the heart of a man. When years later, asked by a reporter: “When you saw children about to be gassed, did you think of your own children?” Stangl vacantly looked away and said mutely, “I don’t know.” And he didn’t. Stangl, like most today, didn’t want to know what he knew. He didn’t want to believe who he had become during those years. He wanted to believe that somehow he had remained an honorable person through it all. Rather than choose… Life… Stangl chose… Survival. When faced with a decision that pitted his (individual) self (his reputation, his money, his potential for advancement in the world along with his and his family’s welfare) against listening to and heeding his conscience to contribute his part in executing the good for all… when faced with decisions like these, Stangl chose his own self-interest. After seventy hours of investigation by a reporter who penetrates the deepest recesses of his hidden heart, uncovering the locked and bolted rooms of awareness that Stangl had never yet allowed even himself entrance into, Stangl admits. “But I was there. So yes, in reality I share the guilt …. Because my guilt… my guilt… only now in these talks… now that I have talked about it all for the first time…. My guilt is that I am still here. That is my guilt. I should have died. That was my guilt.” Franz Stangl died nineteen hours after this final interview… of heart failure. How is this done? How is it that one tiny infant, originally just as pure and innocent as any other, can end up running one of the most murderous institutions in world history? What is the nature and path of evil? How can so many be “blindly” and self-willingly falling into it? When one looks from our hypothetical long-range perch, poised hundreds of miles away from Mother Earth, what we DO NOT find behind the Nazi curtains is a small bunch of race-crazed callous homicidal maniacs. What we find instead are “small-minded” humans. 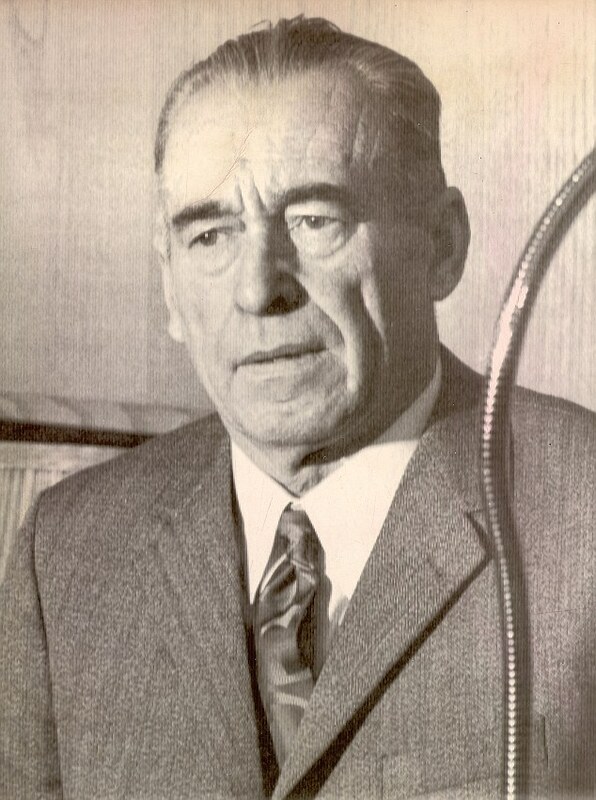 Normal, ordinary German citizens like Franz Stangl, who were much too weak to stand up to a powerful state, a state that rewarded them for “doing their duties,” however evil, bankrupt, and immoral those duties were; and that punished them severely for choosing not to. So, Franz Stangl’s dilemma: choose my own (and friends and family’s) welfare, by complying with the standing institutions, becoming part of the pack mentality… OR… choose to be one of the ALL. One realization an eternal observer would discover is how easy it can be to descend into darkness. It is something that could happen to so many of us, as we keep going on with our lives; even though we are doing things that we know in our hearts are wrong. What one finds when one investigates dispassionately into the lives of the Stangl’s of the world, is that Stangl is no monster, at least, not in the traditional sense. It was not that he had no sense of right or wrong, or that he was a sadist, or that he was oblivious to his task. Rather, he was an individual who had the practiced ability to not look too far into himself and to let others make his moral decisions. His task, then, was to find a mental way to justify his actions, to align the two viewpoints. Stangl represents so many today: “Tell me that you love me, that I’m wonderful, good, handsome, desirable. Validate me and I’ll be whatever you want me to be.” Indeed, Stangl is symbolic for those who are afraid of really discovering them Self, for standing for something eternal and lasting, for becoming Who They ARE. Yet, how difficult is the struggle of repression, justification and denial. How depleting it is for one’s energy reserves. How cunning is the mind in diffusing its individual responsibility. How adept is the human psyche in building barriers, masks, and ritual to hide the ugliness and suffering that he, himself, is perpetrating. The descent into hell by a living demon is not done in one giant leap but rather step-by-step until what once was an apparently normal man has morphed into a grotesque dark and remorseless mass murderer. Many try to walk within both worlds. Trying to please everyone… they become a “no one,” truly connecting to no one; never really realizing Who They Are. Until the fateful day when they have their mortal test and, unprepared… take their step into the dark, unprepared for their opportunity to become strong, Who They Are. And who are the criminals; if not by active engagement in the crimes, then by passivity or complicity? Exercising their frontal lobes, mortals conceive of all kinds of imagined rationalizations. Yet, the formula for evil is unmistakable: Take any government riddled with corruption, rooted in an ideology of power and money, add secrecy to it, and voila! Another Nazi-styled holocaust is always possible. And not until one removes himself from the mortal dilemma and looks with eternal perspective can he see behind the “Nazi curtain of secrecy” that enabled its crimes, to the human beings back there pulling the cords that furthered the drama. For penetrating the complex layers of self-deception and self-justification, there is only one answer. “Choose you this day whom ye will serve. As for me and my house, we will serve the Lord.” Yes, being “double-minded” leaves one weak, impotent, and free-falling quickly (yet blindly) down into the bottomless pit toward a wasted life… with misery in its wake. And this “heart,” that scripture and others have talked about for millennia, is nothing more than the ventral vagus nervous system within one’s torso (one can sense this beneath the area of the physical heart) taking the throne as our overseer, dismissing the natural man responses of either the “fight-or-flight” id/ sympathetic nervous system, or the passive-aggressiveness and “pack mentality” of the superego/ dorsal branch of the parasympathetic nervous system). “Adam, we have created for you this earth, and have placed upon it all kinds of vegetation and animal life. We have commanded all these to multiply in their own sphere and element. We give you dominion over all these things and make you, Adam, lord over the whole earth and all things on the face thereof. We now command you to multiply and replenish the earth, that you may have joy and rejoicing in your posterity. We have also planted for you this garden, wherein we have placed all manner of fruits, flowers, and vegetation. Of every tree of the garden thou mayest freely eat, but of the tree of knowledge of good and evil thou shalt not eat; nevertheless, thou mayest choose for thyself, for it is given unto thee. But remember that I forbid it, for in the day thou eatest thereof thou shalt surely die. Adam, remember this commandment which we have given unto you. Now go to–dress this garden, take good care of it, be happy and have joy therein. LUCIFER: Yes, a new world, patterned after the old one where we used to live. LUCIFER: Oh, I see–your eyes are not yet opened. You have forgotten everything. You must eat some of the fruit of this tree. LUCIFER: Adam, here is some of the fruit of that tree. It will make you wise. ADAM: I will not partake of that fruit. Father told me that in the day I should partake of it, I should surely die. LUCIFER: You shall not surely die, but shall be as the Gods, knowing good and evil. LUCIFER: Oh, you will not? Well, we shall see. Here we see the figurative interplay of the id and the superego, the inner struggle an “Adam” experiences when confronted with enticement in opposition to his deeper inner knowing. When Lucifer responds: “You shall not surely die, but shall be as the Gods, knowing good and evil” he was telling the truth! Adam did not “surely” die after later eating of the fruit of the Tree of Knowledge of Good and Evil, at least as mankind defines “surely” (“immediately, in the temporal world”), but Adam DID die spiritually. By listening to the advice of another (a “Lucifer”), Adam silenced his own inner voice, transferring his Overseer from his ventral vagus branch which utilizes power and intelligence as one is living according to what is the long-term good of all, to his dorsal vagus branch. He became “passive-aggressive,” living for the short-term peace of himself and his loved ones… as so many are today. Then, we have ones like _____ (name with-held), the “covert narcissists” who, like Stangle, believe they can walk both sides of the fence and please everybody. Wondering why they cannot find their “life’s purpose” and eternal connection, they fool themselves into occasional good feeling, while underneath they are miserable and self-hating. As such, they serve the world as a “good example” of one who kept himself weak by not applying the inner strength to choose 100% to be “single-minded” and follow the highest he has been taught. In the end, we will each be a story. Every individual one of us will be privy to the view “from a distance,” seeing where we each either caved in or became strong and in alliance with a life lived to enhance the long-term good of all.